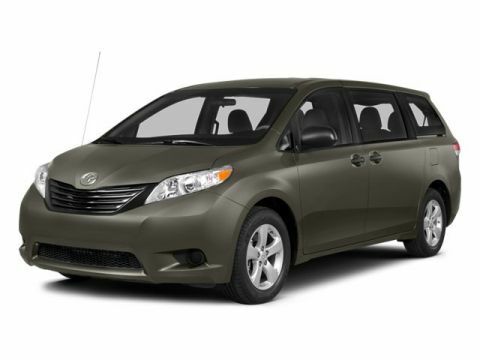 **CARFAX 1 OWNER**, **CLEAN CARFAX**, **LOCAL TRADE**, **NON SMOKER**, **CERTIFIED**, 4-Wheel Disc Brakes, 6 Speakers, ABS brakes, Air Conditioning, AM/FM radio, Brake assist, Bumpers: body-color, CD player, Delay-off headlights, Driver door bin, Driver vanity mirror, Dual front impact airbags, Dual front side impact airbags, Electronic Stability Control, Exterior Parking Camera Rear, Fabric Seat Trim, Four wheel independent suspension, Front anti-roll bar, Front Bucket Seats, Front Center Armrest, Front reading lights, Fully automatic headlights, Heated door mirrors, Illuminated entry, Knee airbag, Low tire pressure warning, Occupant sensing airbag, Outside temperature display, Overhead airbag, Overhead console, Panic alarm, Passenger door bin, Passenger vanity mirror, Power door mirrors, Power driver seat, Power steering, Power windows, Radio: Entune Audio, Rear anti-roll bar, Rear seat center armrest, Rear side impact airbag, Rear window defroster, Remote keyless entry, Speed control, Speed-sensing steering, Split folding rear seat, Steering wheel mounted audio controls, Tachometer, Telescoping steering wheel, Tilt steering wheel, Traction control, Trip computer, Variably intermittent wipers, Wheels: 7.0J x 16" Steel. 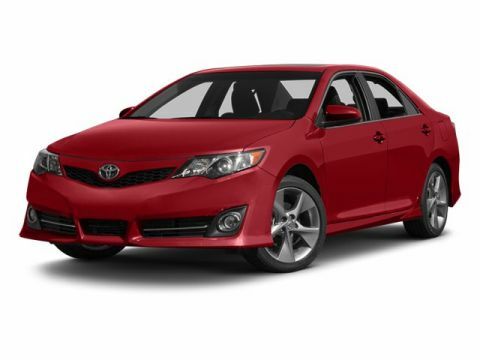 2017 Toyota Camry Blue 2.5L I4 SMPI DOHC LE FWD 6-Speed Automatic Awards: * 2017 KBB.com 10 Best Sedans Under $25,000 * 2017 KBB.com 10 Most Comfortable Cars Under $30,000 * 2017 KBB.com 10 Most Awarded Brands * 2017 KBB.com Best Resale Value Awards **Qualifies for an Extended Service Plan..! . **Bring in this printed page for our special Internet Discounted price, and ask for an Internet Manager! Recent Arrival! 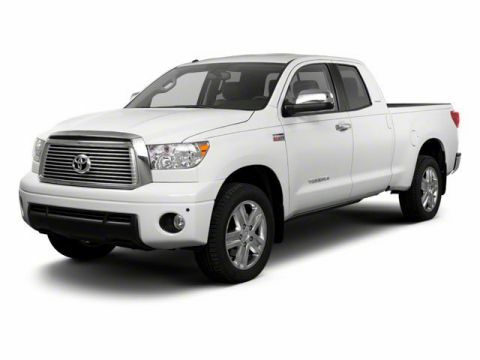 **LOCAL TRADE**, **NON SMOKER**, **SPORTY**, 4-Wheel Disc Brakes, 6 Speakers, ABS brakes, Air Conditioning, Alloy wheels, AM/FM radio, Brake assist, Bumpers: body-color, CD player, Delay-off headlights, Driver door bin, Driver vanity mirror, Dual front impact airbags, Dual front side impact airbags, Electronic Stability Control, Exterior Parking Camera Rear, Fabric Seat Trim, Four wheel independent suspension, Front anti-roll bar, Front Bucket Seats, Front Center Armrest, Front reading lights, Fully automatic headlights, Heated door mirrors, Illuminated entry, Knee airbag, Leather steering wheel, Low tire pressure warning, Occupant sensing airbag, Outside temperature display, Overhead airbag, Overhead console, Panic alarm, Passenger door bin, Passenger vanity mirror, Power door mirrors, Power driver seat, Power steering, Power windows, Radio: Entune Audio, Rear anti-roll bar, Rear seat center armrest, Rear side impact airbag, Rear window defroster, Remote keyless entry, Speed control, Speed-sensing steering, Split folding rear seat, Spoiler, Sport steering wheel, Steering wheel mounted audio controls, Tachometer, Telescoping steering wheel, Tilt steering wheel, Traction control, Trip computer, Variably intermittent wipers. 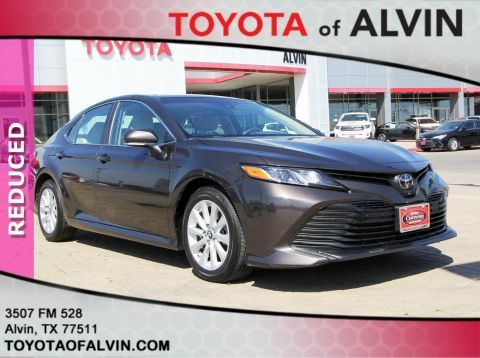 2017 Toyota Camry Gray 2.5L I4 SMPI DOHC SE FWD 6-Speed Automatic Awards: * 2017 KBB.com 10 Most Comfortable Cars Under $30,000 * 2017 KBB.com 10 Best Sedans Under $25,000 * 2017 KBB.com Best Resale Value Awards * 2017 KBB.com 10 Most Awarded Brands **Qualifies for an Extended Service Plan..! . **Bring in this printed page for our special Internet Discounted price, and ask for an Internet Manager! Recent Arrival! **CARFAX 1 OWNER**, **CLEAN CARFAX**, **LOCAL TRADE**, **NON SMOKER**, **REAR VIEW CAMERA**, **BLUETOOTH ENABLED**, **HANDS FREE CALLING**, 4-Spoke Synthetic Leather Steering Wheel, 6 Speakers, ABS brakes, Air Conditioning, AM/FM radio: SiriusXM, Auto High-beam Headlights, Automatic temperature control, Brake assist, CD player, Driver door bin, Driver vanity mirror, Dual front impact airbags, Dual front side impact airbags, Electric Heated Colored Outside Rear View Mirrors, Electronic Stability Control, Exterior Parking Camera Rear, Front anti-roll bar, Front Bucket Seats, Front Center Armrest, Front Fog & Driving Lamp, Front fog lights, Front reading lights, Front wheel independent suspension, Heated door mirrors, Heated Front Bucket Seats, Heated Front Seats, Heated front seats, Illuminated entry, Knee airbag, Low tire pressure warning, Navigation System, Occupant sensing airbag, Outside temperature display, Overhead airbag, Panic alarm, Passenger door bin, Passenger vanity mirror, Power door mirrors, Power moonroof, Power steering, Power windows, Radio data system, Radio: Entune Premium Audio w/Nav & App Suite, Rear seat center armrest, Rear window defroster, Rear window wiper, Remote keyless entry, SofTex Seat Trim, Speed control, Split folding rear seat, Spoiler, Steering wheel mounted A/C controls, Steering wheel mounted audio controls, Telescoping steering wheel, Tilt steering wheel, Traction control, Trip computer, Turn signal indicator mirrors, Variably intermittent wipers, Wheels: 5J x 15" 8-Spoke Machined Alloy. 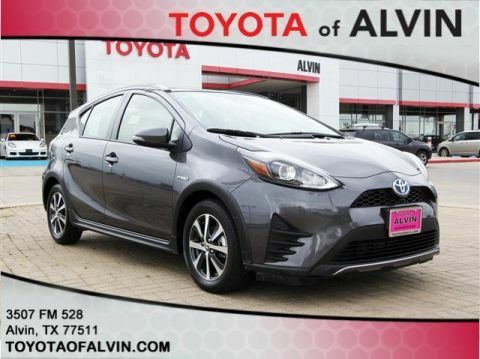 2018 Toyota Prius c Magnetic Gray Metallic 1.5L 4-Cylinder Atkinson-Cycle VVT-i Four FWD CVT **Qualifies for an Extended Service Plan..! . **Bring in this printed page for our special Internet Discounted price, and ask for an Internet Manager! **CARFAX 1 OWNER**, **CLEAN CARFAX**, **LOCAL TRADE**, **NON SMOKER**, 6 Speakers, ABS brakes, Air Conditioning, Alloy wheels, AM/FM radio: SiriusXM, Automatic temperature control, Brake assist, Bumpers: body-color, Delay-off headlights, Driver door bin, Driver vanity mirror, Dual front impact airbags, Dual front side impact airbags, Electronic Stability Control, Exterior Parking Camera Rear, Front anti-roll bar, Front Bucket Seats, Front fog lights, Front wheel independent suspension, Fully automatic headlights, Heated door mirrors, Illuminated entry, Leather Shift Knob, Low tire pressure warning, Occupant sensing airbag, Outside temperature display, Overhead airbag, Panic alarm, Passenger door bin, Passenger vanity mirror, Perforated Softex Seat Trim, Power door mirrors, Power steering, Power windows, Radio: Touchscreen Display Audio, Rain sensing wipers, Rear window defroster, Remote keyless entry, Speed control, Speed-sensing steering, Split folding rear seat, Spoiler, Sport Front Bucket Seats, Steering wheel mounted audio controls, Tachometer, Telescoping steering wheel, Tilt steering wheel, Traction control, Trip computer, Turn signal indicator mirrors, Variably intermittent wipers. 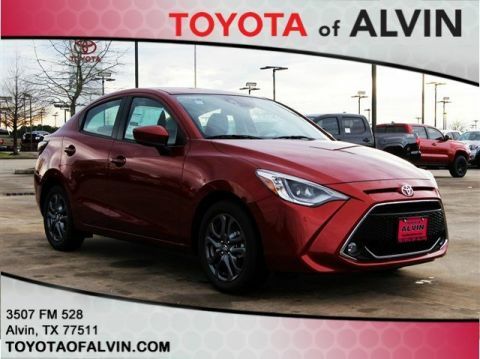 2019 Toyota Yaris Red 1.5L DOHC XLE FWD 6-Speed **Qualifies for an Extended Service Plan..! . **Bring in this printed page for our special Internet Discounted price, and ask for an Internet Manager! 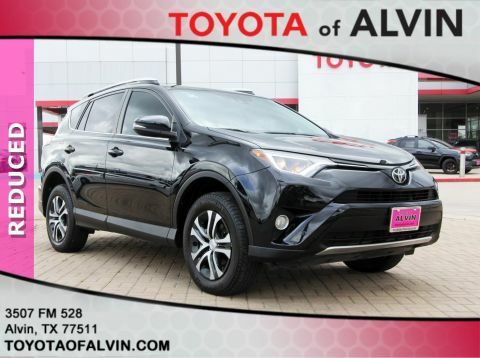 **CARFAX 1 OWNER**, **CLEAN CARFAX**, **LOCAL TRADE**, **NON SMOKER**, **REAR VIEW CAMERA**, **BLUETOOTH ENABLED**, **HANDS FREE CALLING**, **V6**, 3rd row seats: split-bench, 4.154 Axle Ratio, 4-Wheel Disc Brakes, 6 Speakers, ABS brakes, Air Conditioning, Alloy wheels, AM/FM radio, Anti-whiplash front head restraints, Brake assist, Bumpers: body-color, CD player, Delay-off headlights, Driver door bin, Driver vanity mirror, Dual front impact airbags, Dual front side impact airbags, Electronic Stability Control, Exterior Parking Camera Rear, Fabric Seat Material, Four wheel independent suspension, Front anti-roll bar, Front Bucket Seats, Front Center Armrest, Front reading lights, Fully automatic headlights, Heated door mirrors, Illuminated entry, Knee airbag, Low tire pressure warning, MP3 decoder, Occupant sensing airbag, Outside temperature display, Overhead airbag, Overhead console, Panic alarm, Passenger door bin, Passenger vanity mirror, Power door mirrors, Power steering, Power windows, Radio: Entune Audio, Rear air conditioning, Rear anti-roll bar, Rear reading lights, Rear window defroster, Rear window wiper, Reclining 3rd row seat, Remote keyless entry, Speed control, Speed-sensing steering, Split folding rear seat, Spoiler, Steering wheel mounted audio controls, Tachometer, Telescoping steering wheel, Tilt steering wheel, Traction control, Trip computer, Turn signal indicator mirrors, Variably intermittent wipers. 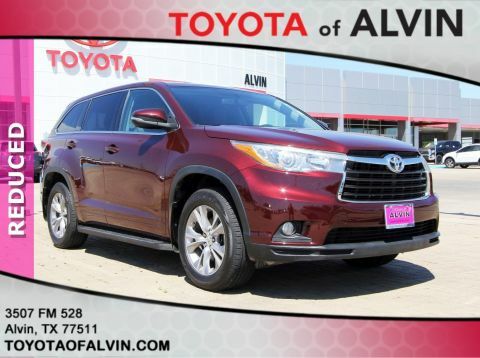 2015 Toyota Highlander Maroon 3.5L V6 DOHC Dual VVT-i 24V LE V6 FWD 6-Speed Automatic Electronic with Overdrive Awards: * 2015 KBB.com Best Buy Awards * 2015 KBB.com 15 Best Family Cars * 2015 KBB.com 10 Most Fuel-Efficient SUVs **Qualifies for an Extended Service Plan..! . **Bring in this printed page for our special Internet Discounted price, and ask for an Internet Manager! 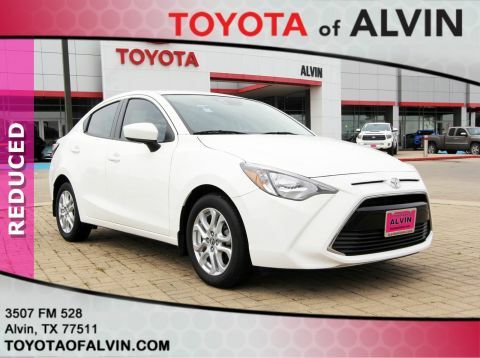 **CLEAN CARFAX**, **LOCAL TRADE**, **NON SMOKER**, 4-Wheel Disc Brakes, 6 Speakers, ABS brakes, Active Cruise Control, Air Conditioning, Alloy wheels, AM/FM radio, Auto High-beam Headlights, Brake assist, Bumpers: body-color, Delay-off headlights, Distance-Pacing Cruise Control, Driver door bin, Driver vanity mirror, Dual front impact airbags, Dual front side impact airbags, Electronic Stability Control, Exterior Parking Camera Rear, Fabric Seat Trim, Four wheel independent suspension, Front anti-roll bar, Front Bucket Seats, Front Center Armrest, Front reading lights, Fully automatic headlights, Illuminated entry, Knee airbag, Low tire pressure warning, Occupant sensing airbag, Outside temperature display, Overhead airbag, Overhead console, Panic alarm, Passenger door bin, Passenger vanity mirror, Power door mirrors, Power driver seat, Power steering, Power windows, Radio: Entune 3.0 Audio, Rear anti-roll bar, Rear reading lights, Rear seat center armrest, Rear side impact airbag, Rear window defroster, Remote keyless entry, Security system, Speed control, Speed-sensing steering, Split folding rear seat, Steering wheel mounted audio controls, Tachometer, Telescoping steering wheel, Tilt steering wheel, Traction control, Trip computer, Variably intermittent wipers. 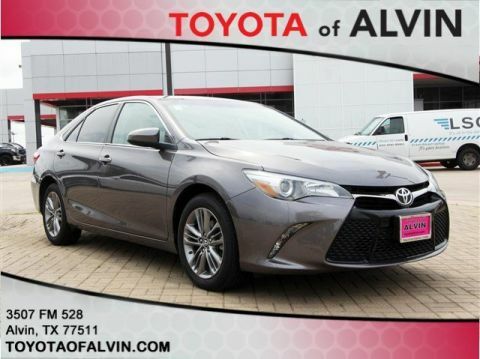 2018 Toyota Camry Brown 2.5L I4 DOHC 16V LE FWD 8-Speed Automatic **Qualifies for an Extended Service Plan..! . **Bring in this printed page for our special Internet Discounted price, and ask for an Internet Manager! Recent Arrival! 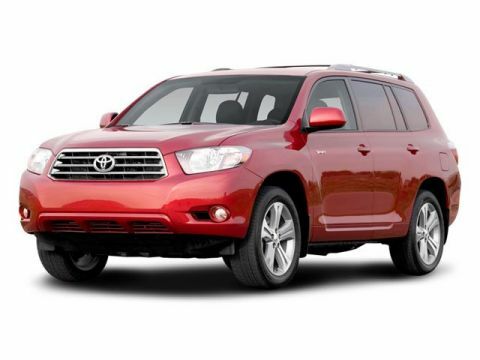 **CARFAX 1 OWNER**, **CLEAN CARFAX**, **LOCAL TRADE**, **NON SMOKER**, **MUST SEE**, 4-Wheel Disc Brakes, 6 Speakers, ABS brakes, Active Cruise Control, Air Conditioning, Alloy wheels, AM/FM radio, Auto High-beam Headlights, Auto-dimming Rear-View mirror, Automatic temperature control, Axle Ratio: TBA, Brake assist, Bumpers: body-color, Delay-off headlights, Distance pacing cruise control: All-Speed Dynamic Radar Cruise Control, Driver door bin, Driver vanity mirror, Dual front impact airbags, Dual front side impact airbags, Electronic Stability Control, Exterior Parking Camera Rear, Fabric Seat Material, Four wheel independent suspension, Front anti-roll bar, Front Bucket Seats, Front Center Armrest, Front dual zone A/C, Front reading lights, Fully automatic headlights, Illuminated entry, Knee airbag, Leather Shift Knob, Low tire pressure warning, Occupant sensing airbag, Outside temperature display, Overhead airbag, Panic alarm, Passenger door bin, Passenger vanity mirror, Power door mirrors, Power steering, Power windows, Radio data system, Radio: AM/FM Stereo w/7" Touch-Screen Display, Rear anti-roll bar, Rear side impact airbag, Rear window defroster, Rear window wiper, Remote keyless entry, Speed control, Speed-sensing steering, Split folding rear seat, Spoiler, Steering wheel mounted audio controls, Tachometer, Telescoping steering wheel, Tilt steering wheel, Traction control, Trip computer, Turn signal indicator mirrors, Variably intermittent wipers. 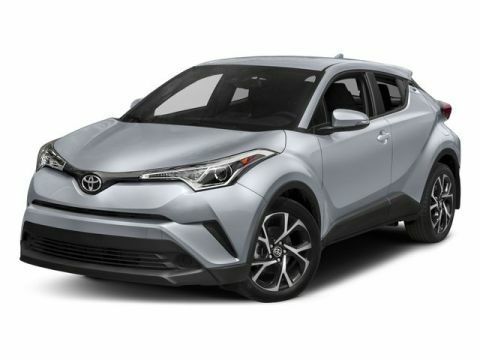 2018 Toyota C-HR White 2.0L I4 DOHC 16V XLE FWD CVT **Qualifies for an Extended Service Plan..! . **Bring in this printed page for our special Internet Discounted price, and ask for an Internet Manager! 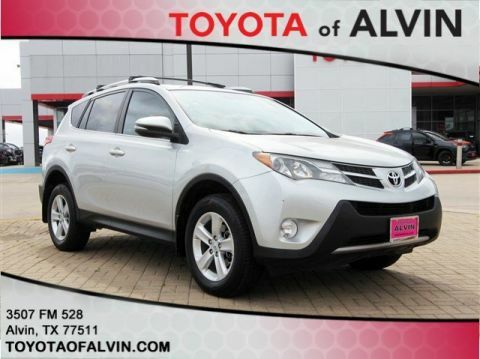 **CARFAX 1 OWNER**, **CLEAN CARFAX**, **LOCAL TRADE**, **NON SMOKER**, **REAR VIEW CAMERA**, **BLUETOOTH ENABLED**, **HANDS FREE CALLING**, 4-Wheel Disc Brakes, 6 Speakers, 6.5J x 16" Steel Wheels, ABS brakes, Air Conditioning, All Weather Floor Liners & Cargo Tray Package, AM/FM radio, Auto High-beam Headlights, Brake assist, Bumpers: body-color, Delay-off headlights, Distance-Pacing Cruise Control, Driver door bin, Driver vanity mirror, Dual front impact airbags, Dual front side impact airbags, Electronic Stability Control, Exterior Parking Camera Rear, Fabric Seat Trim, Four wheel independent suspension, Front anti-roll bar, Front Bucket Seats, Front Center Armrest, Front reading lights, Fully automatic headlights, Illuminated entry, Knee airbag, Low tire pressure warning, Occupant sensing airbag, Outside temperature display, Overhead airbag, Overhead console, Panic alarm, Passenger door bin, Passenger vanity mirror, Power door mirrors, Power steering, Power windows, Radio: Entune 3.0 Audio, Rear anti-roll bar, Rear reading lights, Rear side impact airbag, Rear window defroster, Remote keyless entry, Speed control, Speed-sensing steering, Steering wheel mounted audio controls, Tachometer, Telescoping steering wheel, Tilt steering wheel, Traction control, Trip computer, Variably intermittent wipers. Odometer is 21897 miles below market average! 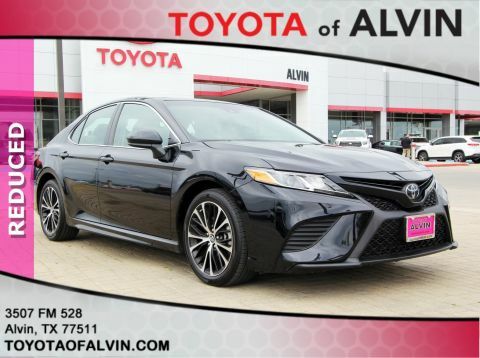 2018 Toyota Camry Black 2.5L I4 DOHC 16V L FWD 8-Speed Automatic **Qualifies for an Extended Service Plan..! . **Bring in this printed page for our special Internet Discounted price, and ask for an Internet Manager! 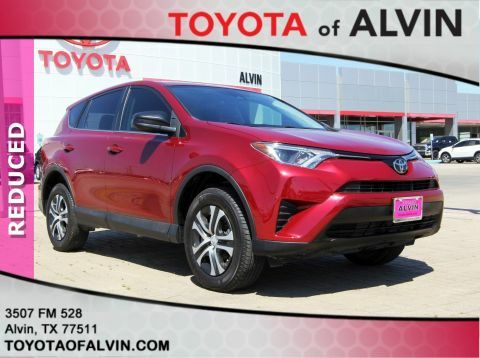 **CLEAN CARFAX**, **LOCAL TRADE**, **NON SMOKER**, **REAR VIEW CAMERA**, **BLUETOOTH ENABLED**, **HANDS FREE CALLING**, **RAVENOUS**, 3.815 Axle Ratio, 4-Wheel Disc Brakes, 6 Speakers, ABS brakes, Air Conditioning, AM/FM radio, Auto High-beam Headlights, Brake assist, Bumpers: body-color, CD player, Distance-Pacing Cruise Control, Driver door bin, Driver vanity mirror, Dual front impact airbags, Dual front side impact airbags, Electronic Stability Control, Exterior Parking Camera Rear, Fabric Seat Trim, Four wheel independent suspension, Front anti-roll bar, Front Bucket Seats, Front Center Armrest, Front reading lights, Fully automatic headlights, Illuminated entry, Knee airbag, Low tire pressure warning, Occupant sensing airbag, Outside temperature display, Overhead airbag, Overhead console, Panic alarm, Passenger door bin, Passenger vanity mirror, Power door mirrors, Power steering, Power windows, Radio data system, Radio: Entune AM/FM/CD/MP3/WMA Playback w/6 Speakers, Rear anti-roll bar, Rear seat center armrest, Rear window defroster, Rear window wiper, Remote keyless entry, Speed control, Speed-sensing steering, Split folding rear seat, Spoiler, Steering wheel mounted audio controls, Tachometer, Telescoping steering wheel, Tilt steering wheel, Traction control, Trip computer, Wheels: 17" x 6.5J. 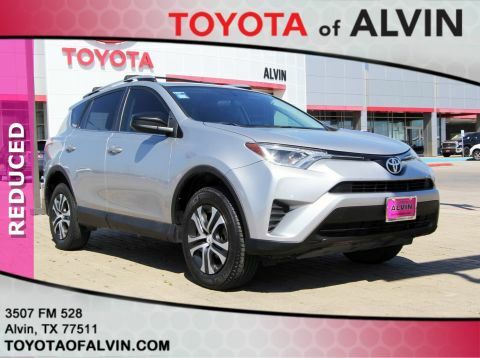 2018 Toyota RAV4 Silver Sky Metallic 2.5L 4-Cylinder DOHC Dual VVT-i LE FWD 6-Speed Automatic **Qualifies for an Extended Service Plan..! . **Bring in this printed page for our special Internet Discounted price, and ask for an Internet Manager! Recent Arrival! 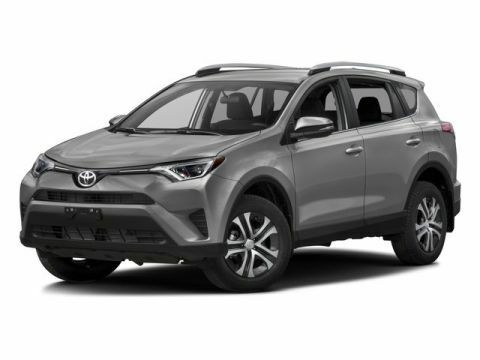 **CLEAN CARFAX**, **REAR VIEW CAMERA**, **BLUETOOTH ENABLED**, **HANDS FREE CALLING**, 4-Wheel Disc Brakes, 6 Speakers, 6.5J x 16" Steel Wheels, ABS brakes, Air Conditioning, AM/FM radio, Auto High-beam Headlights, Brake assist, Bumpers: body-color, Delay-off headlights, Distance-Pacing Cruise Control, Driver door bin, Driver vanity mirror, Dual front impact airbags, Dual front side impact airbags, Electronic Stability Control, Exterior Parking Camera Rear, Fabric Seat Trim, Four wheel independent suspension, Front anti-roll bar, Front Bucket Seats, Front Center Armrest, Front reading lights, Fully automatic headlights, Illuminated entry, Knee airbag, Low tire pressure warning, Occupant sensing airbag, Outside temperature display, Overhead airbag, Overhead console, Panic alarm, Passenger door bin, Passenger vanity mirror, Power door mirrors, Power steering, Power windows, Radio: Entune 3.0 Audio, Rear anti-roll bar, Rear reading lights, Rear side impact airbag, Rear window defroster, Remote keyless entry, Speed control, Speed-sensing steering, Steering wheel mounted audio controls, Tachometer, Telescoping steering wheel, Tilt steering wheel, Traction control, Trip computer, Variably intermittent wipers. Odometer is 24013 miles below market average! 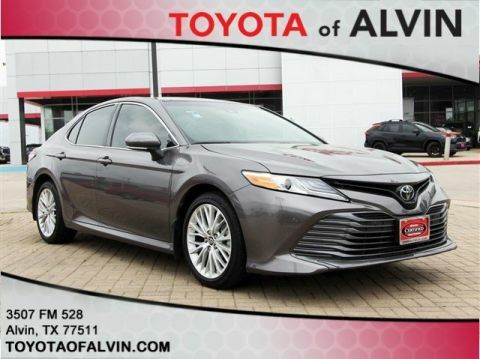 2018 Toyota Camry Gray 2.5L I4 DOHC 16V L FWD 8-Speed Automatic **Qualifies for an Extended Service Plan..! . **Bring in this printed page for our special Internet Discounted price, and ask for an Internet Manager! 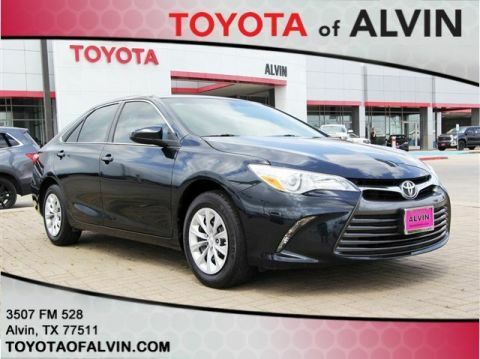 **CARFAX 1 OWNER**, **CLEAN CARFAX**, **LOCAL TRADE**, **NON SMOKER**, **REAR VIEW CAMERA**, **BLUETOOTH ENABLED**, **HANDS FREE CALLING**, **SUPER SPORTY**, 4-Wheel Disc Brakes, 6 Speakers, ABS brakes, Air Conditioning, AM/FM radio, Auto High-beam Headlights, Brake assist, Bumpers: body-color, Delay-off headlights, Distance-Pacing Cruise Control, Driver door bin, Driver vanity mirror, Dual front impact airbags, Dual front side impact airbags, Electronic Stability Control, Exterior Parking Camera Rear, Four wheel independent suspension, Front anti-roll bar, Front Bucket Seats, Front Center Armrest, Front reading lights, Fully automatic headlights, Illuminated entry, Knee airbag, Low tire pressure warning, Occupant sensing airbag, Outside temperature display, Overhead airbag, Overhead console, Panic alarm, Passenger door bin, Passenger vanity mirror, Power door mirrors, Power steering, Power windows, Radio: Entune 3.0 Audio, Rear anti-roll bar, Rear reading lights, Rear side impact airbag, Rear window defroster, Remote keyless entry, Speed control, Speed-sensing steering, Steering wheel mounted audio controls, Tachometer, Telescoping steering wheel, Tilt steering wheel, Traction control, Trip computer, Variably intermittent wipers. Odometer is 16824 miles below market average! 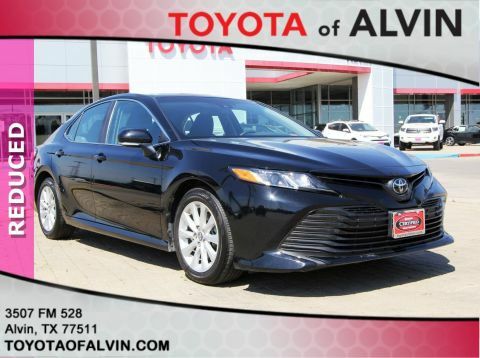 2018 Toyota Camry Midnight Black Metallic 2.5L I4 DOHC 16V SE FWD 8-Speed Automatic **Qualifies for an Extended Service Plan..! . **Bring in this printed page for our special Internet Discounted price, and ask for an Internet Manager! Recent Arrival! 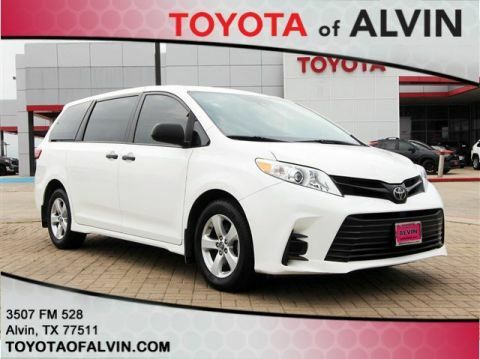 2018 Toyota Sienna Super White 3.5L V6 SMPI DOHC L FWD 8-Speed Automatic **Qualifies for an Extended Service Plan..! . **Bring in this printed page for our special Internet Discounted price, and ask for an Internet Manager! **CARFAX 1 OWNER**, **CLEAN CARFAX**, **LOCAL TRADE**, **NON SMOKER**, **NAVIGATION**, **TOWING**, ABS brakes, Alloy wheels, Body Color Heated Mirrors, Compass, Electronic Stability Control, Heated door mirrors, Heated Front Bucket Seats, Heated front seats, Illuminated entry, Low tire pressure warning, Power moonroof, Power Tilt & Slide Moonroof w/Sunshade, Remote keyless entry, Traction control. 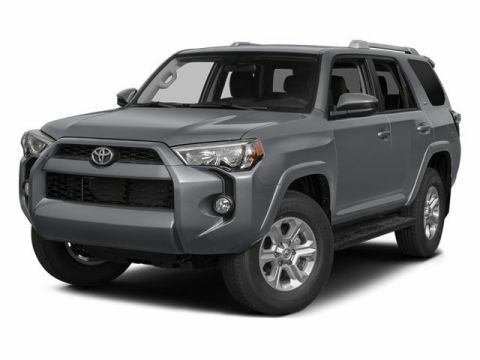 2014 Toyota 4Runner Silver 4.0L V6 SMPI DOHC SR5 Premium RWD 5-Speed Automatic with Overdrive Awards: * 2014 KBB.com Best Resale Value Awards **Qualifies for an Extended Service Plan..! . **Bring in this printed page for our special Internet Discounted price, and ask for an Internet Manager! Recent Arrival! Odometer is 9972 miles below market average! 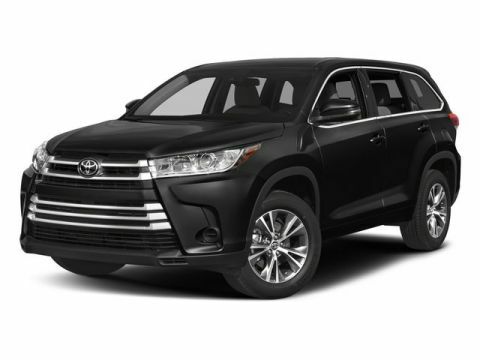 2017 Toyota Highlander Silver 3.5L V6 LE FWD 8-Speed Automatic Electronic with ECT-i Awards: * 2017 KBB.com 12 Best Family Cars * 2017 KBB.com 10 Most Awarded Brands * 2017 KBB.com Best Resale Value Awards **Qualifies for an Extended Service Plan..! . **Bring in this printed page for our special Internet Discounted price, and ask for an Internet Manager! 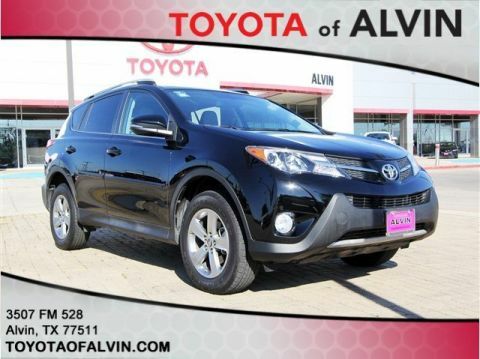 **CARFAX 1 OWNER**, **CLEAN CARFAX**, **LOCAL TRADE**, **NON SMOKER**, **REAR VIEW CAMERA**, **BLUETOOTH ENABLED**, **HANDS FREE CALLING**, 3rd row seats: split-bench, 4.154 Axle Ratio, 4-Wheel Disc Brakes, 6 Speakers, ABS brakes, Air Conditioning, AM/FM radio, Brake assist, Bumpers: body-color, CD player, Delay-off headlights, Driver door bin, Driver vanity mirror, Dual front impact airbags, Dual front side impact airbags, Electronic Stability Control, Exterior Parking Camera Rear, Fabric Seat Material, Four wheel independent suspension, Front anti-roll bar, Front Bucket Seats, Front Center Armrest, Front reading lights, Fully automatic headlights, Heated door mirrors, Illuminated entry, Knee airbag, Low tire pressure warning, MP3 decoder, Occupant sensing airbag, Outside temperature display, Overhead airbag, Overhead console, Panic alarm, Passenger door bin, Passenger vanity mirror, Power door mirrors, Power steering, Power windows, Radio: Entune Audio, Rear air conditioning, Rear anti-roll bar, Rear reading lights, Rear window defroster, Rear window wiper, Reclining 3rd row seat, Remote keyless entry, Speed control, Speed-sensing steering, Split folding rear seat, Spoiler, Steering wheel mounted audio controls, Tachometer, Telescoping steering wheel, Tilt steering wheel, Traction control, Trip computer, Turn signal indicator mirrors, Variably intermittent wipers, Wheels: 18" Split 5-Spoke Machined-Face Alloy. Odometer is 4039 miles below market average! 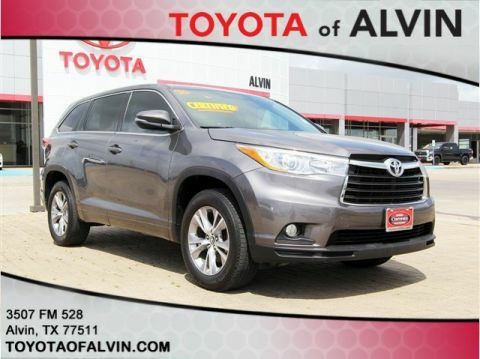 2016 Toyota Highlander Gray 3.5L V6 DOHC Dual VVT-i 24V LE V6 FWD 6-Speed Automatic Electronic with Overdrive Awards: * 2016 KBB.com Best Buy Awards Finalist * 2016 KBB.com 16 Best Family Cars **Qualifies for an Extended Service Plan..! . **Bring in this printed page for our special Internet Discounted price, and ask for an Internet Manager!